Sandra Nel, from the Garlington Village team, recently returned from the Retirement Villages Managers Summit held in Johannesburg. What emerged were encouraging new global trends and insights. Rather than this period of life being treated as a decline, it is increasingly being seen as a time of continued growth, wellness and meaningful purpose. And elder care is slowly following suit. Two growing global movements are championing this cause, The Eden Alternative and the Green House Project, which both seek to treat the loneliness, boredom and helplessness which so many elders experience. The Eden approach to care provides meaningful connection, variety and opportunities for continued growth. This is followed through in international design trends. More care and assisted living facilities are following the Green House approach, creating smaller, home-like environments which includes elders in activities and the community, rather than isolate them. How does Garlington Village measure up to these international trends? Sandra shares her experience, “Garlington Village is at the forefront of providing the care and facilities that the industry is moving towards, and we’re the first of its kind in KZN. The trend is to provide a lifestyle that caters for the individual and not an institution. Garlington Village definitely provides this!” The unique open-plan design of the facilities, the highly individualised care provided and the environment are founded on both the Eden and Green House approach. Here, elderly residents live independently, in a supportive environment that looks and feels like home, set in a vibrant community. Garlington Village is unique in its intimate, home-like atmosphere with no rigid rules, where activities and relationships are smooth and flowing. Attending the Summit was encouraging, providing assurance that we are at the forefront and on the right track in terms of international standards and trends – and have been from the start. From the 15th of October, Garlington Village will have 10 luxury Assisted Living Units available for sale by Life Rights. 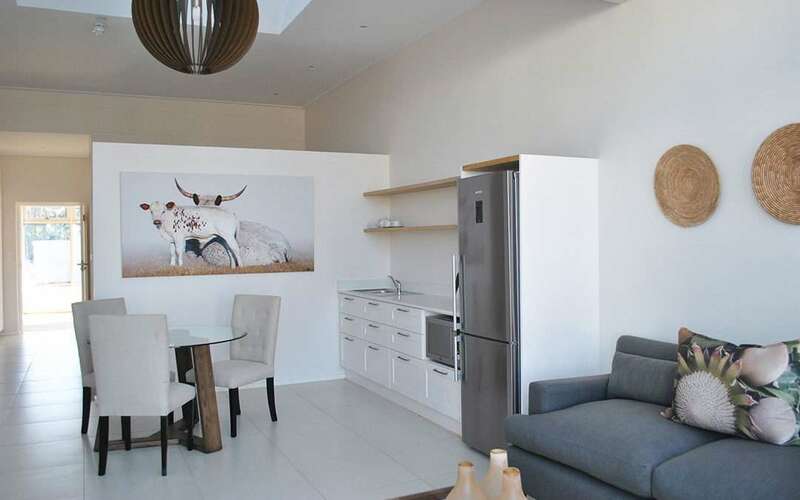 Each include a spacious single bedroom, private en-suite bathroom, open plan living area and enclosed veranda. To view a unit for yourself or a loved one, please contact Sandra Nel on 082 290 5640, Joan Ridl on 072 022 4484 or Sean Moffatt on 083 250 2550.